GLENDALE, CA. 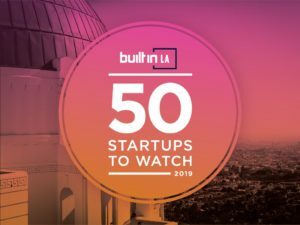 February 08, 2019 – Beyond Limits, a leading artificial intelligence engineering company, has announced that Built In LA has named Beyond Limits to its 2019 Best Places to Work list. The award list recognizes businesses that exceed expectations by providing employees with a stimulating and supportive workplace. The company’s reputation for innovation and explosive growth has made it a top destination for some of the sharpest minds in AI. In 2018, they launched “Beyonders”, their new internship program to accelerate the development of new leaders in cognitive AI. Beyonders dive deep into an immersive program that gives them the unique opportunity to work directly with the only AI company with software technology developed for space missions. Beyond Limits also participated at the Wonder Women Tech National Conference 2018. The company collaborated with Wonder Women Tech to help raise awareness for workplace diversity and inclusion. Beyond Limits’ commitment to diversity has also included recruiting and networking events hosted by WomenHack LA and Reed Smith’s Diversity Summit.